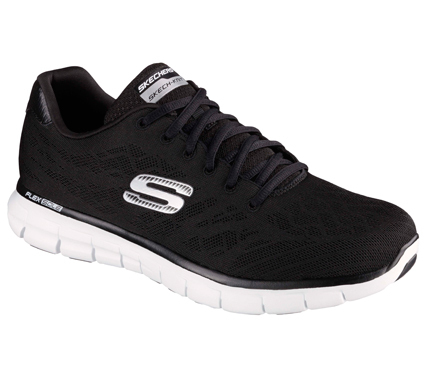 Get the most out of your workout time with the SKECHERS Synergy - Fine Tune shoe. Skech Knit Mesh nearly one piece fabric upper in a lace up athletic training sneaker with stitching and overlay accents. Gel Infused Memory Foam insole; flexible lightweight outsole.